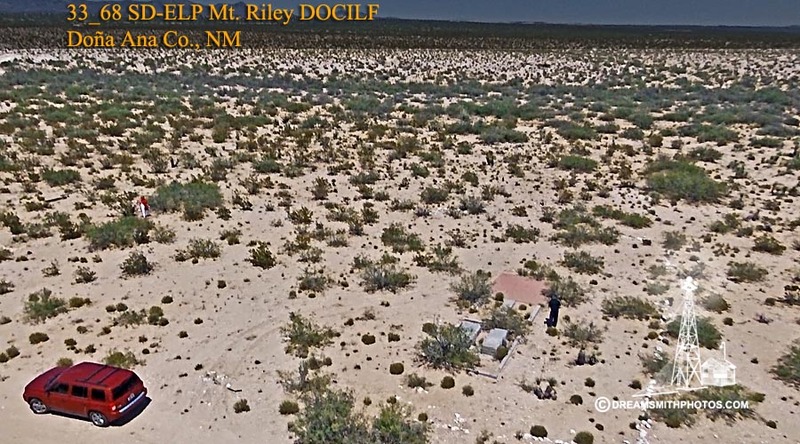 The Mount Riley site is located approximately 25-30 miles west of the Texas-New Mexico State line, along Highway 9. This area is flat open desert covered with scrub brush. The arrow is about 1 mile south of the highway out a one lane dirt road, and just over a mile from the Mexican Border. Be aware that you may be stopped by the Border Patrol while out at the arrow, although we didn’t have that pleasure. 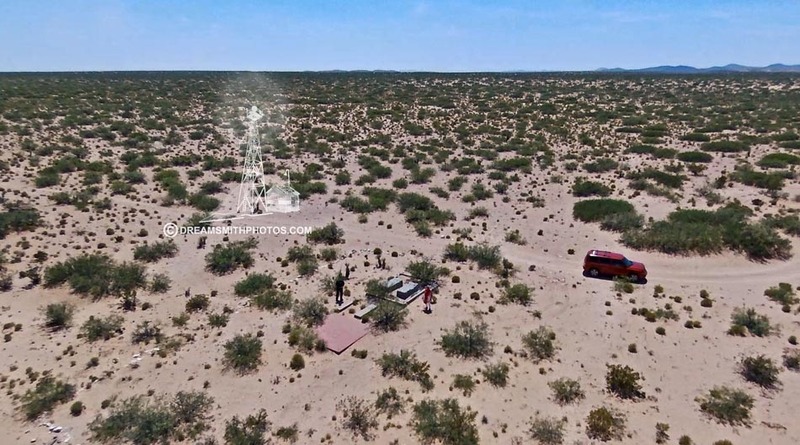 However, two Border Patrol helicopters did fly over us while we were at the site, but apparently they thought that no further investigation was necessary. Basically all that remains of the arrow are the two pads where the generator shed & beacon tower stood. The generator pad just consists of the outside foundation, and a portion of the inside foundation. The beacon pad is still intact and in good condition. The point of the arrow itself was located a short distance from the rest of the arrow. The main portion of the arrow was measured at 35 feet in length. The pilot would approach the tail of the arrow on a compass heading of 106° (E-SE). However, due to the arrow itself being detached, it was not possible to determine what heading the pilot would take upon exiting the arrow. 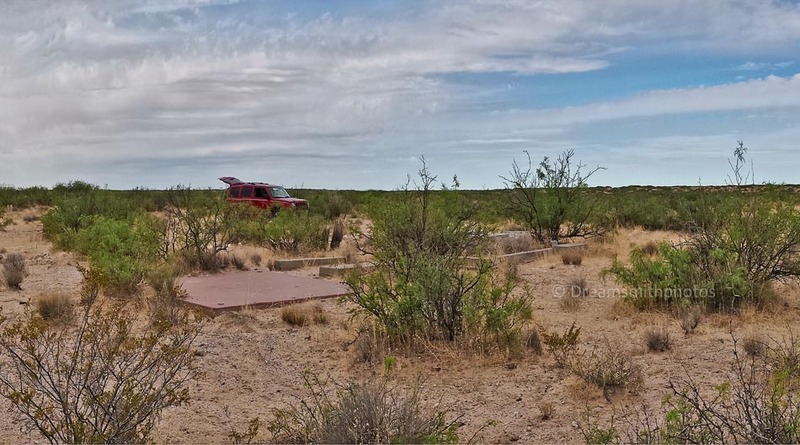 Described by Coast and Geodetic Survey 1945 (RAM) the station is located at emergency landing field Civil Aeronautics Authority site 37 on the Phoenix-El Paso airway. By approximate airline distances it is 38 miles SSW of Las Cruces, 34 miles W of El Paso, 33 miles E of Columbus, and 1-1/4 miles SE of Mt. Riley which is a maintenance station on the Southern Pacific Co. Railroad. To reach the station from the gate on the S side of the tracks at Mt. Riley, go SE on a bladed road for 0.95 mile, thence take a right fork for 0.4 mile to the airway beacon, the emergency landing strip, and the station in the concrete arrow E of the beacon. To reach the azimuth mark from the gate on the N side of the tracks at Mt. Riley, go E on a dirt road along the N side of the fence line for 0.7 mile to an underpass on the right. Continue E on a good bladed road, and, still on the N side of the fence line, for 1.35 miles to a low crest in the road, and the azimuth mark on the right. 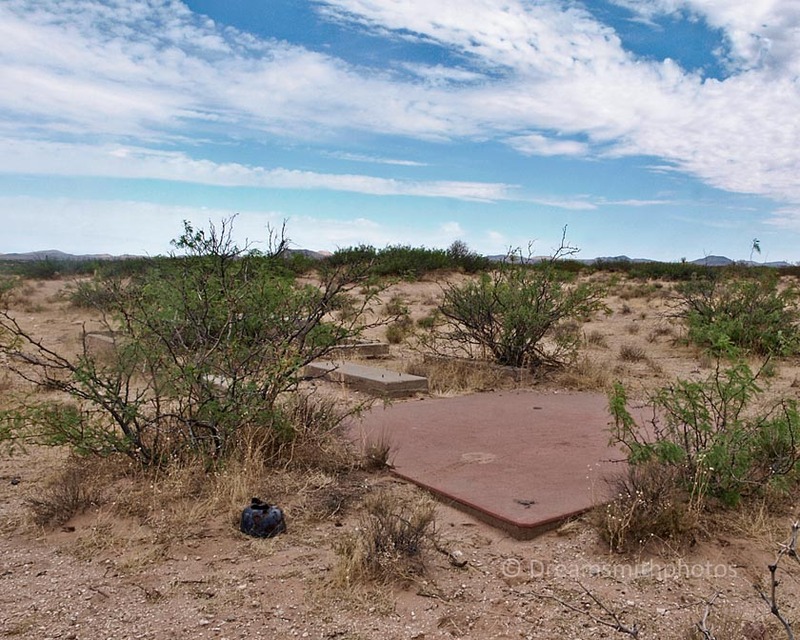 The station, which is a bronze station disk, stamped RILEYAIR 1945, is set in a drill hole in a concrete slab (shaped like an arrow) which extends from the foundation of the airway beacon. It is 13.32 feet ESE of the NE leg of the beacon tower, and 15.55 feet ENE of the SE leg of the tower. Reference mark 1, which is a bronze reference disk, stamped RILEYAIR no 1 1945, is set in a square concrete post which projects about 4 inches above the ground, and is located S of the station on about the same level. Reference mark 2, which is a bronze reference disk, stamped RILEYAIR no 2 1945, is set in a drill hole in the concrete foundation under the beacon, flush with the surface of the concrete, and is located W of the station and on the same level. The azimuth mark, which is a bronze azimuth disk, stamped RILEYAIR 1945, is set in a square concrete post which projects about 4 inches above the ground, and is located NE of the station, 101 feet N of the N rail of the Southern Pacific Co. Railroad main line track, 19 feet S of the center of the graded road, and 2.7 feet N of the railroad right-of-way fence on the N side of the tracks.